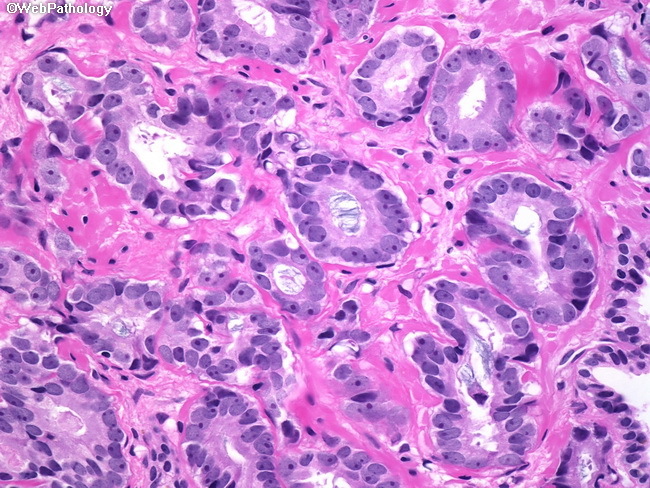 This focus of prostate cancer has all the essential histologic features - small crowded glands lined by a single layer of cells, nuclear enlargement and hyperchromasia, prominent nucleoli, and intraluminal blue mucin. A benign gland is partially visible at the lower right side of the image. Contrast its nuclear size to those of adjacent malignant glands.